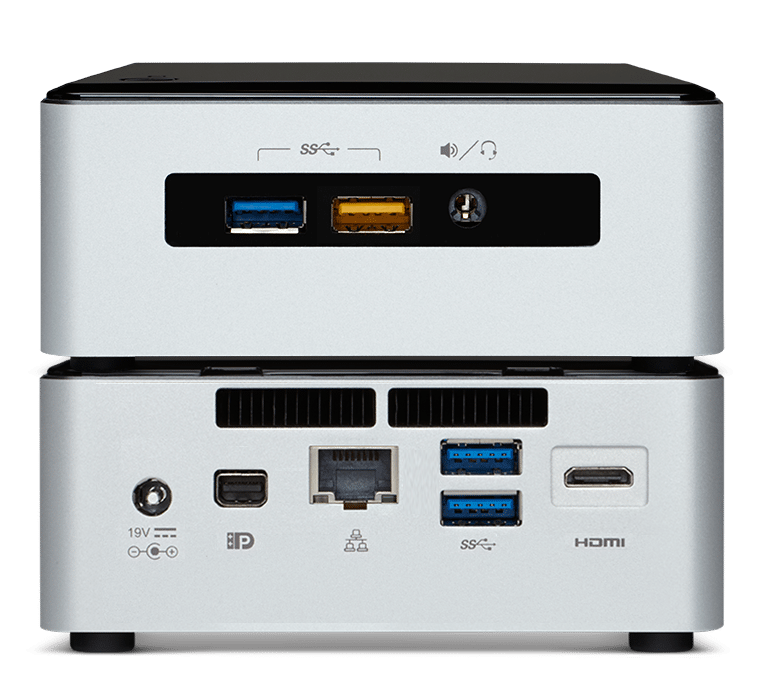 A Mini PC with the power of a desktop tower, this 5th generation VMP packs the Intel® Core™ i7 processor with Intel® Iris™ graphics into 4 square inches. This fully scalable Vision media player is the most powerful yet and gives you premium performance and high resolution visuals you need to play, create, entertain, and transform. Complete with WiFi 802.11ac, Bluetooth 4.0, and 7.1 surround sound, this computer performs equally well as a home theatre PC, media server, gaming machine, as it can eat demanding digital signage tasks for breakfast. 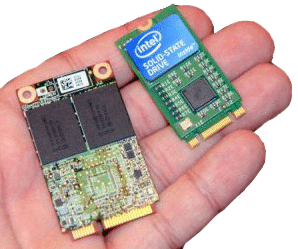 Use mini-Display port, mini-HDMI, or Intel® WiDi to connect to a display. The device has space for both a 2.5″ HDD so you can store all your media AND an M.2 SSD drive so you can transfer data at lightning speeds. There’s also a high-speed USB 3.0 charging port that lets you easily charge your tablet or smartphone quickly even when the VMP is idle or off. Vision can pre-install any Microsoft or Linux operating systems for you so you can run any application. The VMP isn’t just for digital signage; it is a full-powered PC. With this kind of power, size, and versatility, you’ll rethink what is possible. Vision only use high quality components from premium brands. Choose from 2GB, 4GB, 8GB, and 16GB. This Vision Media Player has an M.2 slot to accept the latest and smallest solid-state hard drives (SSD). Choose from 30GB up to 240GB. Or select a 2.5″ drive from 30Gb to 480GB. An M.2 Intel® AC 7265 wireless adaptor card is pre-soldered to the motherboard. It is dual band and supports 802.11ac, Bluetooth 4.0, and Intel’s Wireless Display (WiDi).